This craft is perfect for sea witches that are land locked or far from the ocean. 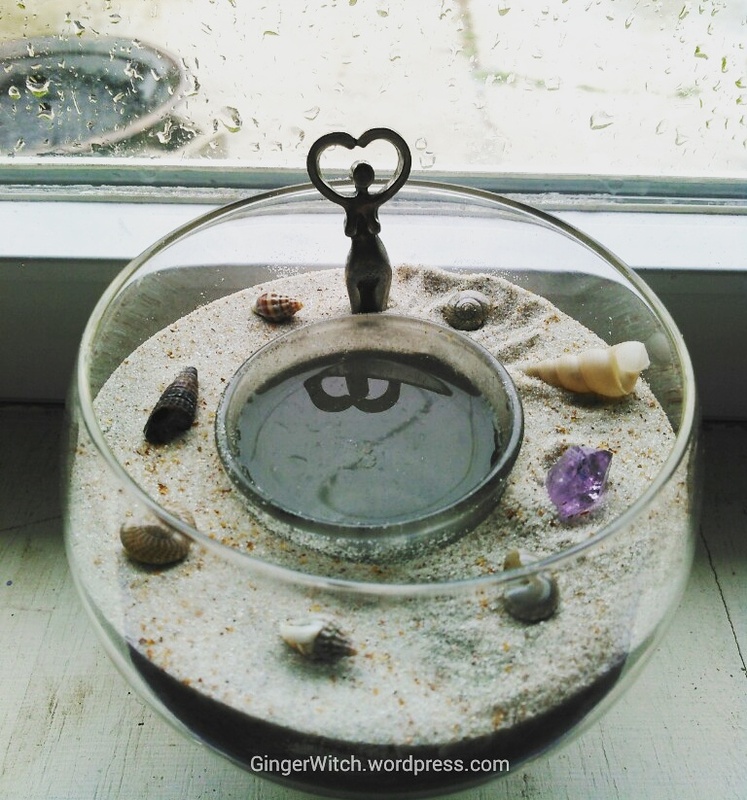 Or for any witch that wants the “beach” on their altar. Mine kind of looks like an altar for Aphrodite, so you could do that too. You can tweak it how you want, this is just to show you one way of doing it. Let’s get started! -Large plastic bowl (to catch any stray sand. Gets kind of messy). -Tiny shells (real or fake), gemstones, or other little trinkets you want to use. 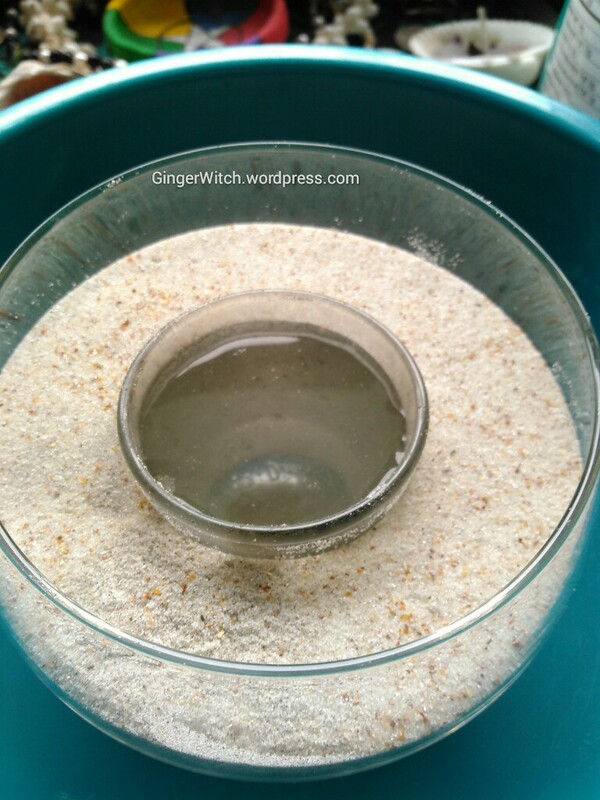 *A note about the sand: If you use sand you’ve collected from the beach, first lay it out on a large pan to dry out. Make sure it is thoroughly dry before using it or it will stink and get moldy. Also, be sure to clean out your shells if you use real ones. 1. 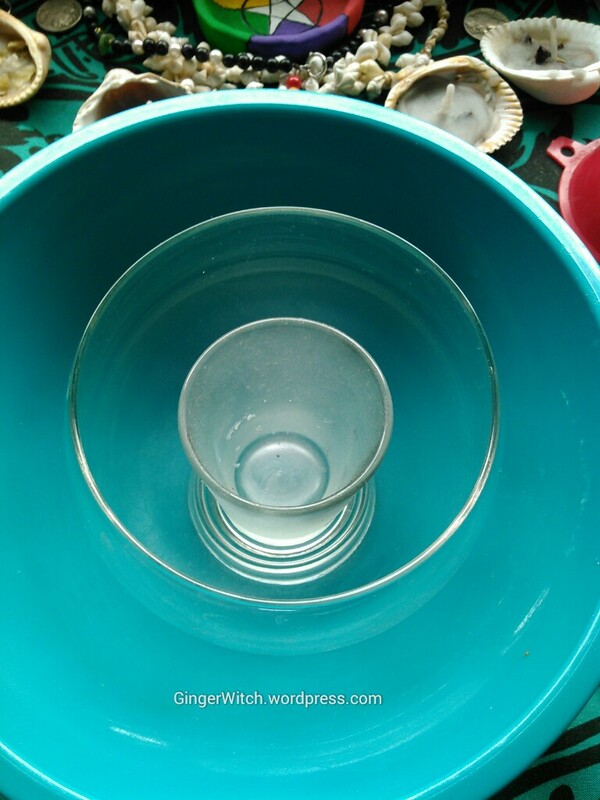 First, put your glass votive or shot glass into your glass bowl. Then put both into tour plastic bowl. 2. Grab your funnel and your sand. 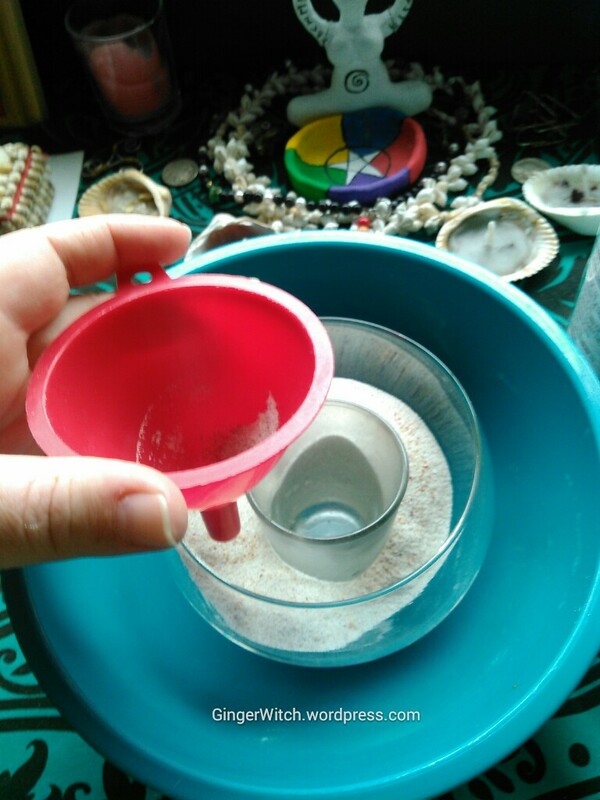 You may want to put the sand in a cup or jar to make it easier to pour into the funnel. 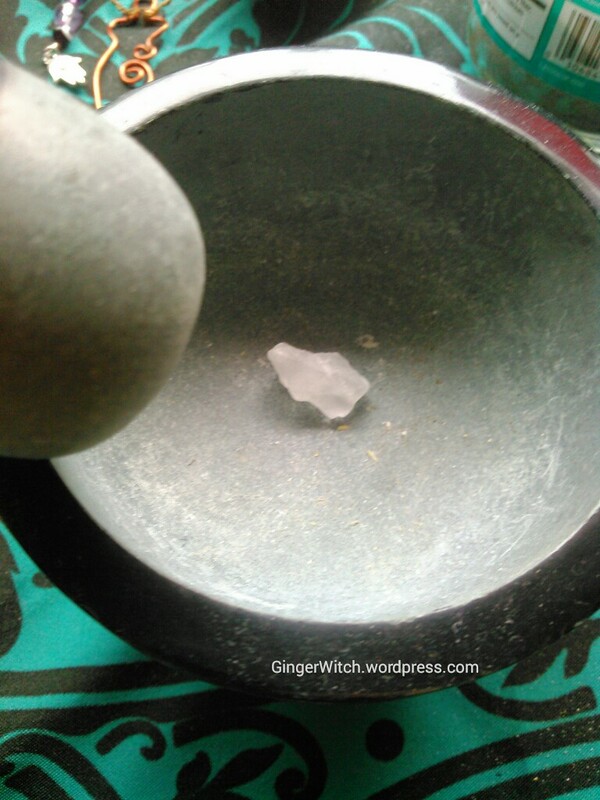 Place the funnel inside the bowl, but outside of the votive. You’re going to pour the sand all the way around the votive. Gently pour the sand in. Full it to just a little bit below the lip of the votive. That way the sand won’t flow over. 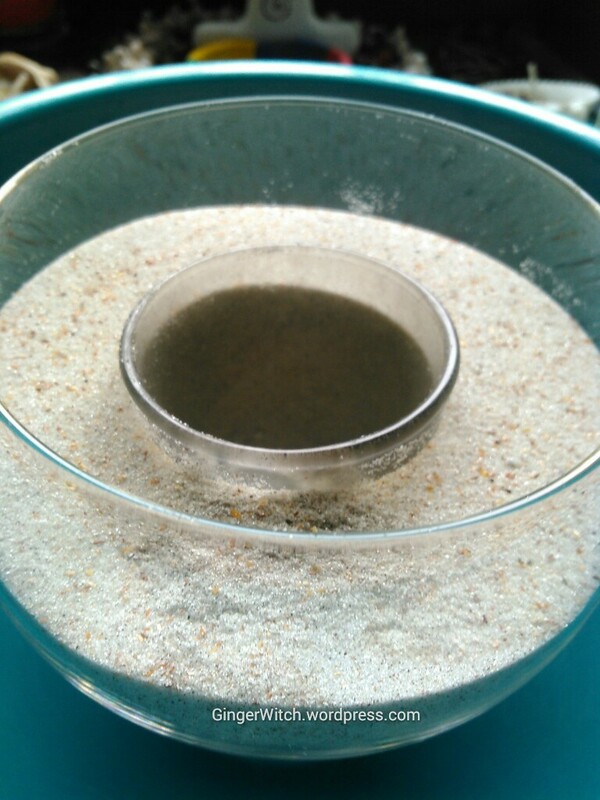 Once you get all the sand in, gently shift it so that the sand lays out flat. 3. 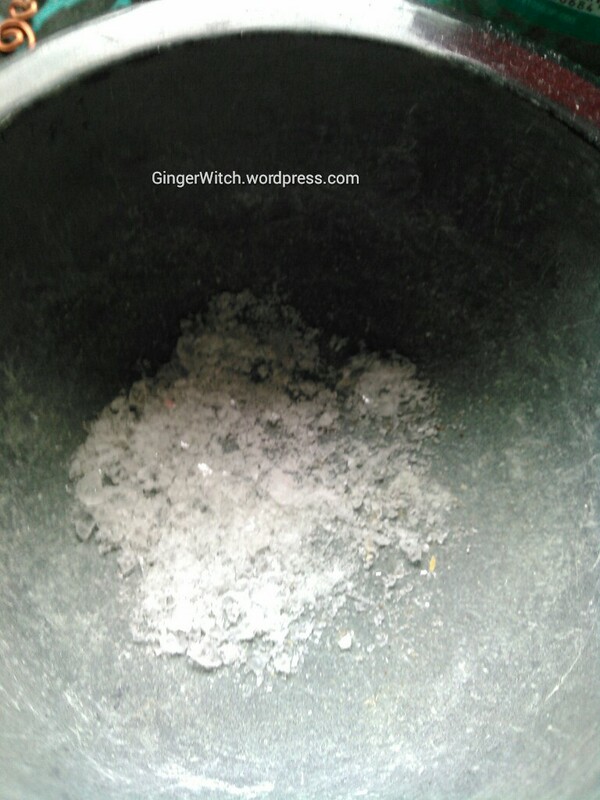 If you’re using sea salt or HPS, now is when you’d crush it in the mortar and pestle. I used sea salt to give it more of an ocean feel. But if all you have is table salt, that’s fine too. 4. Once you’re done crushing the salt, pour it into the votive. 5. Next, gently pour in the water. Again, just full it up to a little below the lip so it doesn’t spill out over the edge. 6. Lastly, add your shells, stones, or trinkets. 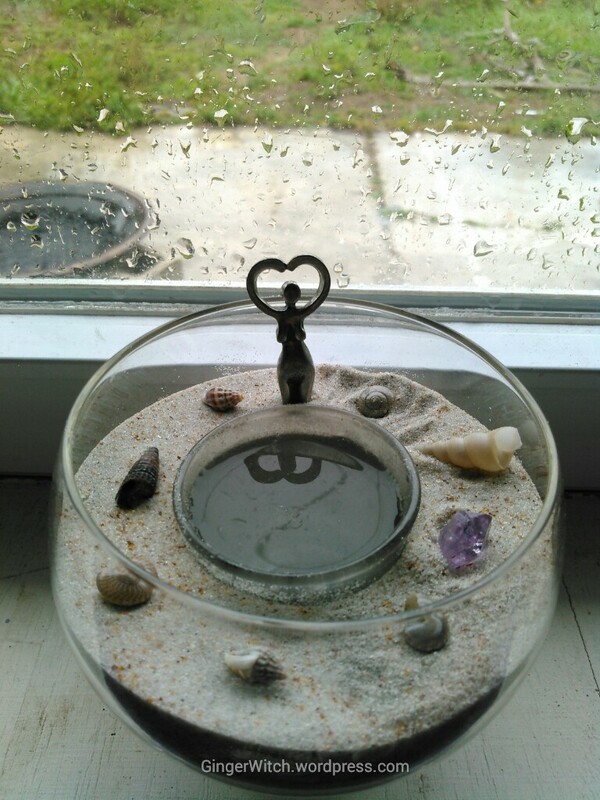 I added shells, an amethyst, and a goddess figure. It turned out looking like an altar for Aphrodite. Which I love, because I’ve been really drawn to her lately. You can altar yours to fit your tastes. You can also make it as big or small as your want. I wanted mine to fit on my altar. Post any questions you may have below in the comments. I’d be happy to answer them. I’d also love to see variations.